AS THE CROW FLIES by Melanie Gillman won the 2018 EGL Best of Middle Grade Award and is on the shortlist for the 2018 Dwayne McDuffie Award for Kids' Comics. ELEMENTS: FIRE, edited by Taneka Stotts, won the 2018 Eisner Award for Best Anthology. MONSTER SCIENCE, illustrated by Phil McAndrew (and written by Helaine Becker), was named a 2018 Forest of Reading Silver Birch Honor book. O HUMAN STAR by Blue Delliquanti won a 2018 Prism Award in the Webcomics category. THE CARPET MERCHANT OF KONSTANTINIYYA by Reimena Yee was nominated for a 2018 Eisner Award in the Best Digital Comic category. THE WITCH BOY by Molly Ostertag won the 2018 EBSCO SEE-IT Award, won a 2018 Prism Award in the Mainstream Comics and Graphic Novels category, and is on the shortlist for the 2018 Dwayne McDuffie Award for Kids' Comics. AGENTS OF THE REALM by Mildred Louis was nominated for the 2018 Slate Cartoonist Studio Prize for Best Webcomic of the Year. AS THE CROW FLIES by Melanie Gillman was named a 2018 Stonewall Honor Book, is a 2018 EGL finalist in both the Best of Middle Grade and Mosaic Award categories, and is one of YALSA's 2018 Great Graphic Novels for Teens. ELEMENTS: FIRE, edited by Taneka Stotts, won a silver medal in the 2018 Independent Publisher Book Awards in the Graphic Novel / Drawn Book category and was nominated for two 2018 DINKy Awards. Shivana Sookdeo's contribution "Breath, Plucked From Heaven" was nominated for the 2018 Slate Cartoonist Studio Prize for Best Print Comic of the Year. FULL CIRCLE by Taneka Stotts and Christianne Goudreau was named a 2018 Dwayne McDuffie Award for Diversity nominee. THE HAUNTED HOUSE PROJECT by Tricia Clasen is a 2017 Voya Top Shelf Fiction selection for middle grade readers. NO BETTER WORDS by Carolyn Nowak was nominated for a 2018 DINKy Award. O HUMAN STAR by Blue Delliquanti made the 2017 James Tiptree Jr. Award longlist. POCKETS by Melanie Gillman was nominated for two 2018 DINKy Awards and won in the Best Mini Comic category. THE PRICE OF ACCEPTANCE by Sarah Searle was nominated for the 2018 Slate Cartoonist Studio Prize for Best Webcomic of the Year. THE WITCH BOY by Molly Knox Ostertag is a 2018 EGL finalist and one of YALSA's 2018 Great Graphic Novels for Teens. 2016 Ignatz Award nominations announced! HUGE congratulations to all of the nominees, with special shout-outs to clients Melanie Gillman, Sloane Leong, Carolyn Nowak, and Taneka Stotts! 2016 YALSA Great Graphic Novels for Teens nominations! 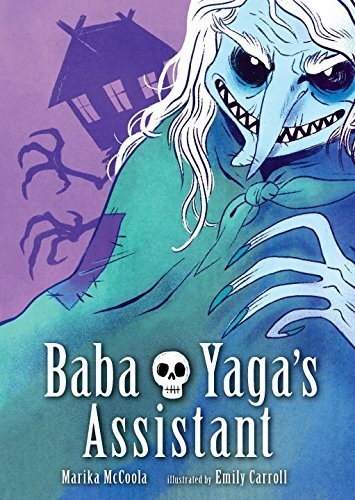 BABA YAGA'S ASSISTANT and STRONG FEMALE PROTAGONIST (VOL. 1) have been nominated for the 2016 YALSA Great Graphic Novels for Teens list in the Fiction category. The list presents graphic novels published in the past 16 months that are recommended reading for teens aged 12-18. 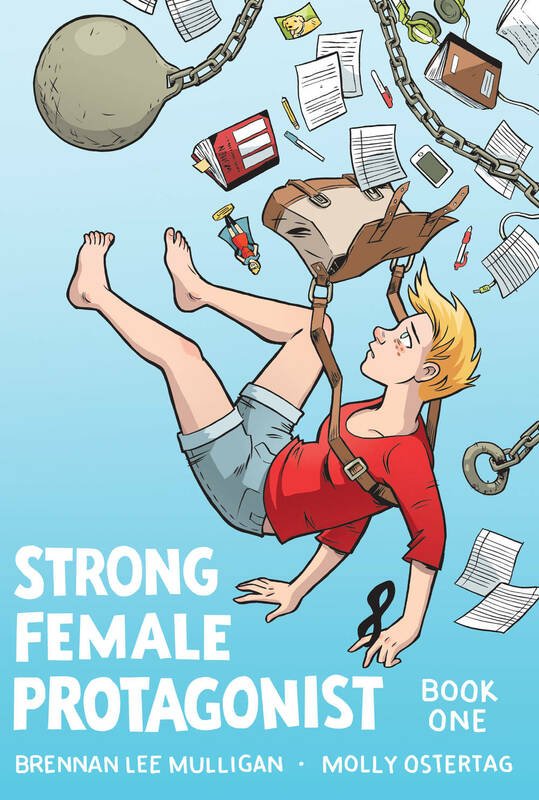 It is a general list of graphic novels, both fiction and nonfiction, selected for proven or potential appeal to the personal reading tastes of teens. The committee will meet, discuss nominations, and select the final list at the at the ALA Midwinter conference (January 2016).